The Amazon Fire Phone, which is available now for pre-order on Amazon, has an impressive list of features and specs. It will be released this year on July 25th for AT&T customers only. The Amazon phone comes with 2 years AT&T service contract for $199 and without a contract, it costs $649. Second Screen – Pause playback on phone and instantly resume it on a variety of devices, including PS3, PS4, Amazon Fire TV, and Samsung TV’s. Firefly Technology – Quickly identify printed web addresses, emails, phone numbers, bar codes, and more. Also identity songs, movies, TV shows, and products. Mayday – Quickly and easily connect to Amazon tech support via video at any time. Dynamic Perspective – Be able to perform a number of controls, including tilting, swiveling, scrolling, and accessing menus with unique movements not available on other smartphones. Whispersync – Link Audible and Kindle books together to instantly have the audio book pick up right where you stop reading the e-book. Amazon Appstore – Thousands of games and apps to download and play on your phone. Prime Instant Video – Free streaming videos with an Amazon Prime account. 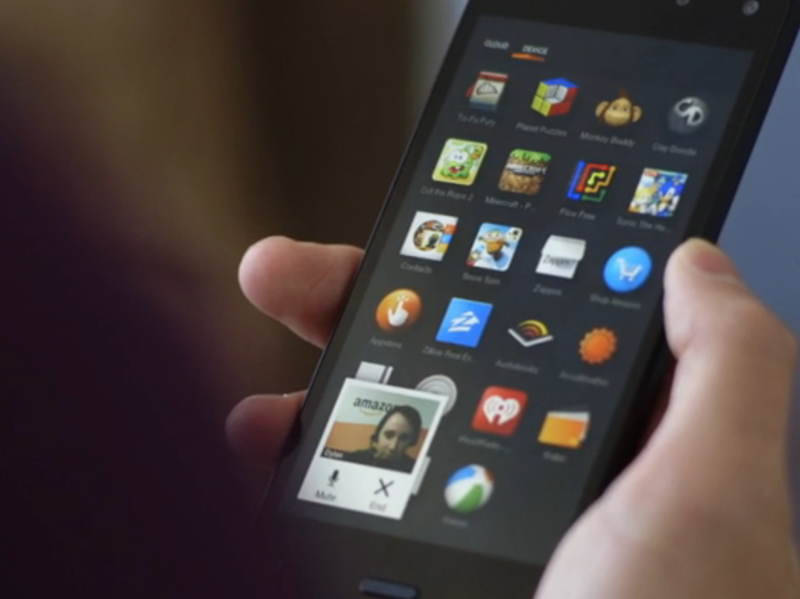 The Amazon Fire Phone will also come with a full year of Prime for free for a limited time. Normally, that would be an extra $100.